Fixes to generated data cartridge, including: only planning for non-infantry units and fixes to broken SKU-planning. New! Flight planner now also uses terrain to plan for least exposed approach to target while still allowing for pop-up maneuvers. New WiP Feature! generated data cartridges after ELINT has been collected. Is selectable in kneeboard and will generate a flight plan with a search pattern for the radar transmitter. You can select a stand-off range or to overfly the area. 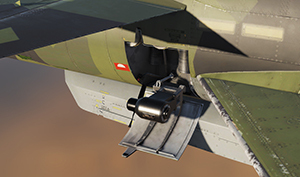 Sidewinder fix: T1 to Radar-lock instead of TV, and the missile is now not re-caged when setting safety armed. Fix to the HUD presenting wind compensation incorrectly when in a bank. New! Callsigns (including your own) are now displayed in the kneeboard. RPM in outside view adjusted to say 100% when at max RPM instead of 97%. Fixed flight-envelope values for AI. Introduced a weight on wheels workaround to fix thrust reverser issues. Corrected ability to re-fix MÅL-points. 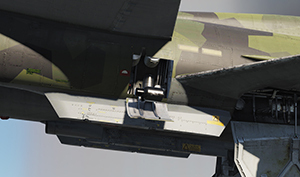 We’ve done a stop-gap pass (until F-14 developments are backported) on our afterburner effects for the Viggen! These now look far more realistic, are appropriately scaled and bright. The afterburner will now also cast light inside the exhaust as well as on surrounding objects and terrain. This little spinny boi can help keep you alive in a pinch! This has actually been active in our simulation since launch, but we’ve been lagging behind on implementing the visuals. New: Original, 32bpp uncompressed normalmaps! 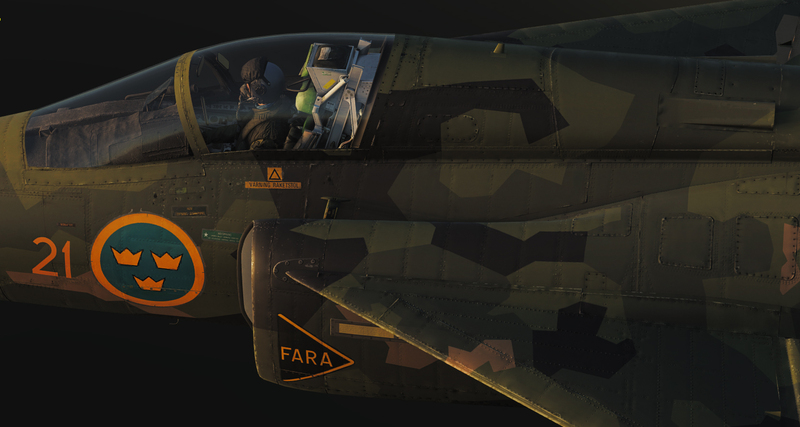 We felt that VRAM was at a great premium on the launch of our Viggen. 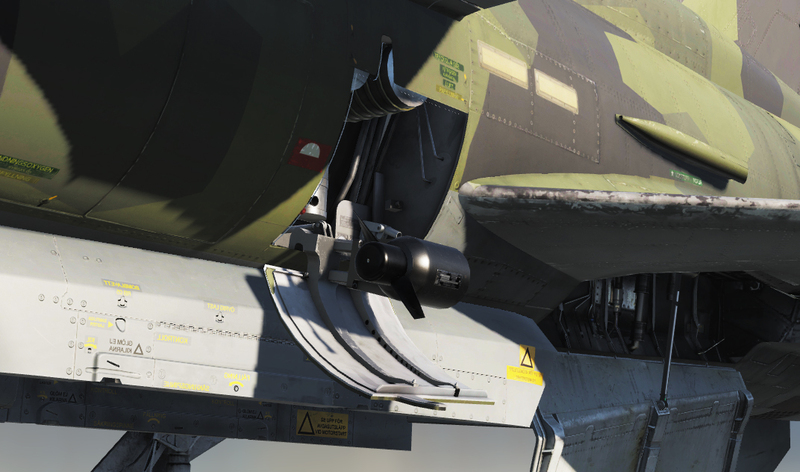 Lately, however, we’ve reevaluated VRAM usage of the Viggen and the impact on performance. This has allowed us to now ship uncompressed, high quality normalmaps for the exterior. This change has also been necessary due to the discontinuing of support for swizzled XY BC5 normalmaps in the core engine. Enjoy those sculpted rivets in all of their glory! As always, thanks for your support. We’ll be working very hard and diligently to meet our goals for the Viggen and it’s full completion by the end of 2018. 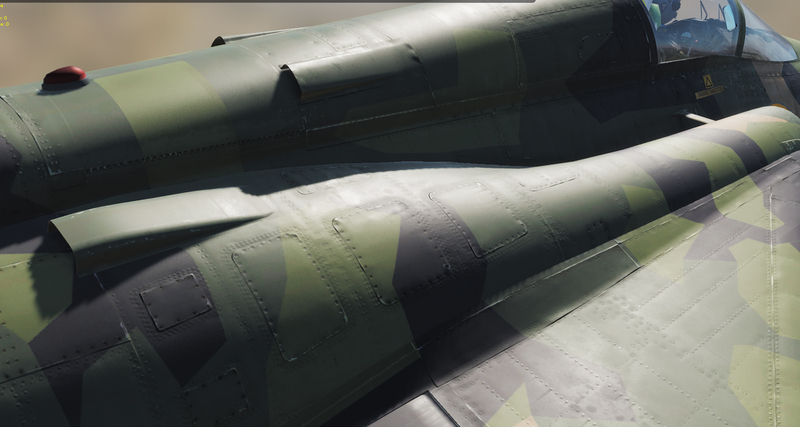 Tagged AJS-37, Heatblur Simulations, Uutiskirje, Viggen.